Talented singer/songwriter Sara Groves celebrates 15 years of making critically acclaimed music with the release of 'The Collection', featuring the best and brightest from her last 10 studio albums. 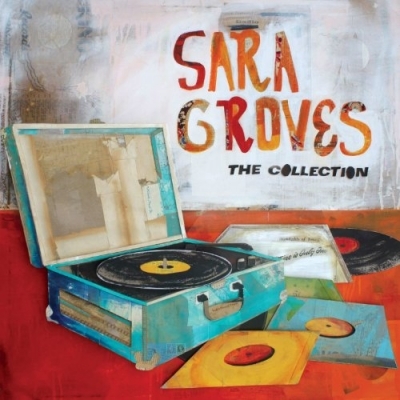 Read More Talented singer/songwriter Sara Groves celebrates 15 years of making critically acclaimed music with the release of 'The Collection', featuring the best and brightest from her last 10 studio albums. That is a massive collection of songs to pick through for this album - which must have been a very difficult process for Sara to go through. In addition to 23 songs from her repertoire, the two-disc release also includes four brand new songs, 'Strangely Ready', 'Blessed Be The Tie', 'Lay It Down' and 'Kindness of Strangers'. These new songs are some of the best tracks on this collection, but more about that later. Sara has such a soft elegant voice that you can not help but fall in love with the way she sings. You can see why album after album people buy her music. What I loved about this collection was the fact that these acoustic, chilled, atmospheric, piano-led tracks flow together so well. From the beautiful and spine tingling Every Minute and Awakening, to the foot tapping Add To The Beauty and You Are The Sun - this album has a great mix of Sara classics. Eye on The Prize is still an epic track, and I could listen to this track over and over. If you are looking for a sample of all of Sara's albums then this is a brilliant album to get, the more I hear her voice the more I remember how great previous albums were. But for me, some of the gems of this album are the newest tracks. I really love the opening track Strangely Ready, this song is just wonderful and already sounds like a classic, the same could be said for the track Blessed Be The Tie. If you have never heard the voice of Sara Groves then please head over and get this album. As a collection, this is full of simple yet beautiful sounds that are great to put on while sat by the fire with a cup of coffee. This album is a great relaxing album and one that will get played over and over again in my household.